Thank you for your contribution guys! As a side note, we’re working on some very exciting and innovative features to be released in the next following weeks – stay tuned! When we’ve released the Strategies section, it was meant to act as a collaboration tool for developers to share their strategy tests, tweaks and versions and help them in their development. Unfortunately, many users have abused the fact that Strategies are simple html files, and in effect, can be manipulated easily. 1. 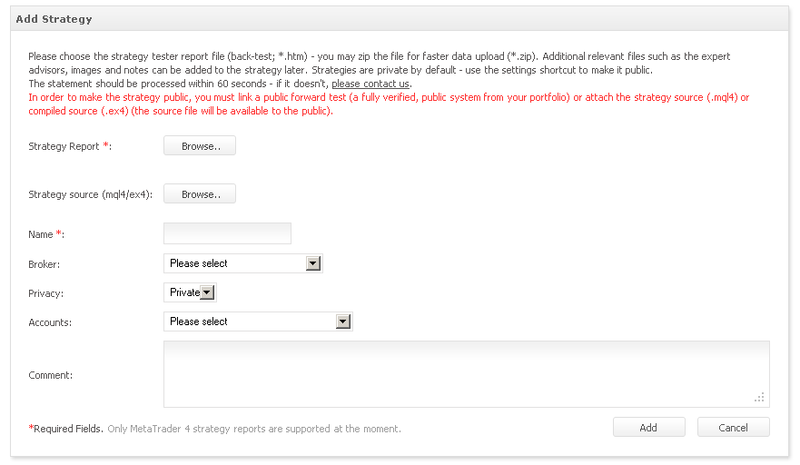 Attach the expert file of the strategy, the source (mql4) or the compiled file (ex4) and any other related files. 2. Link a forward test of the strategy (by selecting a public and fully verified system from your portfolio). Only a strategy which maintains one of the above requirements can remain public. The above will help in screening the real strategies. If you have any suggestions on improving the section even more, do let us know! What else have we added? 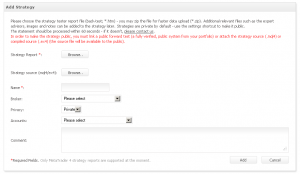 – The user page now includes the strategies of the user. – API updated; added comment to open trades and orders methods (check the version changes at the bottom of the page). Wish you a successful trading week! Myfxbook Is Now Available In Japanese And Chinese! Just a quick message – 2 more languages were added today: Japanese and Chinese (simplified). Again, thank you for your help with the translations! If you still don’t see your language in the options, feel free to go to the translations area and start translating away . 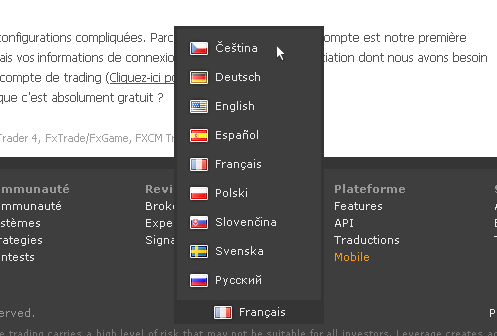 We’ve just added 3 new languages for your selection! Deutsch, Français and Spanish! If you notice any errors in the translations, feel free to go to the translations area and suggest a better translation. As mentioned in our last week’s blog post, all public systems now include the broker information, to increase transparency. As always, the changes and updates we’re doing are based on your suggestions and comments, so if you have a great idea in mind, do let us know by using the suggestion box or by contacting us privately. Also, we’ve been receiving a lot of excellent feedback on the new real time publication wizard and many are already using it – a lot of bugs were fixed and many improvements were made – so thank you! Wish you a profitable trading week! 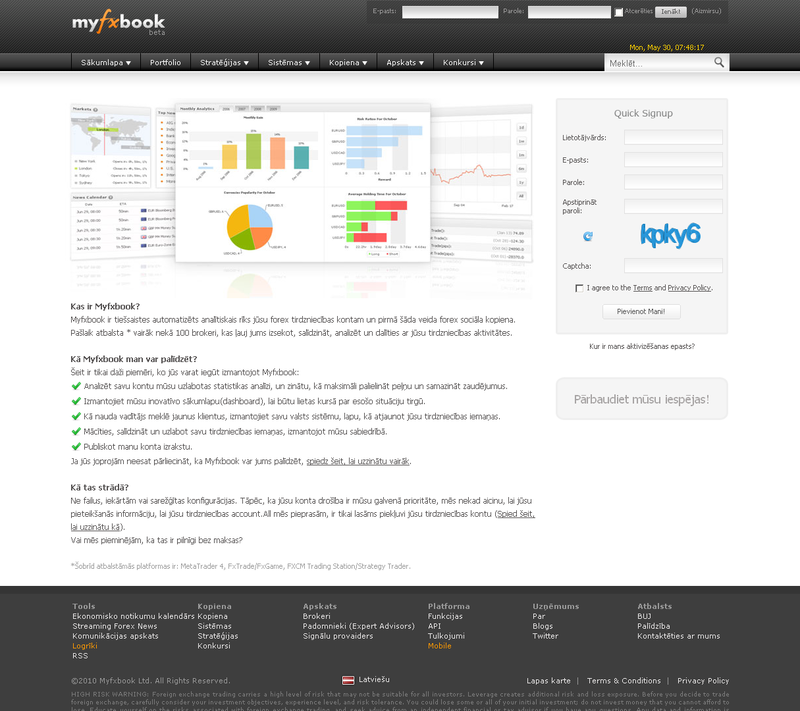 You are currently browsing the The Myfxbook Blog blog archives for May, 2011.